From Jennifer Pastiloff's wonderful The Manifest-Station, my essay about my mom falling in love for the first time in her 90s. And so, because she loved her father, because she didn’t want to be a disappointment to him, and mostly because she was twenty-eight, which was as close to spinsterhood as she could allow herself to get, she let herself be trundled off to what was then called an adult day camp, where single men and women could spend a month, living in cabins, enjoying swimming, boating and arts and crafts, but really looking for their mates. There, as if she were choosing a cut of meat for dinner, she had her pick of men. She settled on two of the most marriage-minded: a sturdy looking guy who was going to be a teacher and my father, who was quiet, a little brooding, but who already had a steady, money-making career as an accountant. She wasn’t sure how she felt about him, but she believed that love had already passed her by, like a wonderful party she had somehow missed. But even so, she could still have the home, the family, the life she wanted if she were only brave and determined enough to grab it. My father asked her to marry him, and she immediately said yes. But later, she told my sister and me, that when she was walking down the aisle, her wedding dress itchy, and her shoes too tight, she felt a surge of terror. This isn’t right, she thought. But there was her father, beaming encouragingly at her. There was her mother, her sisters and brothers and all her friends, gathered to celebrate this union. Money had been spent on food and flowers and her white, filmy dress. And where else did she have to go? So she kept walking. My sister and I grew up knowing our mother wasn’t in love with our father. She told us all the stories, like cautionary tales, making us her confidantes, even as we squirmed to be with our friends, or be by ourselves, rather than to hear her secrets. We knew about the butcher’s son, and how our father was second helpings. She told me things I didn’t want to know because they felt like problems I had to solve for her, and they often kept me awake, worrying over her, feeling panicked and scared. And sometimes I was the solution. When I was seventeen, on the cusp of leaving home and starting my own, brand new life, she whispered to me that she needed me to go to the Cape with her and my father on vacation because she didn’t want to be alone with him, not then, not ever. She wouldn’t go unless I went, too. She admitted though, that sometimes, she still liked to sleep with him. “Well, who else am I going to tell?” she asked. My sister and I didn’t need our mother’s stories to know exactly what her marriage was like. My mother and my father rarely talked. They certainly never touched, and there was a big nightstand pushed in between the two beds. I didn’t blame my mother because I kept away from my father, too. He never kissed or hugged my sister or me, and when he spoke, it was usually to scold, sometimes to yell, or sometimes to shut us off with silence. He had a hair-trigger temper and everything set him off, from a spilled water glass to the way my mother forgot to ask his mother about her arthritis. He didn’t know my mother’s favorite flowers were daisies, and he didn’t know the names of any of my teachers or the books I loved to read. I was glad that he left the house at six in the morning, happy that he didn’t come home until eight most nights, and I did my best to stay out of his way. The only advice my mother ever offered on marriage was, “Choose someone kind. That’s all that matters.” She never said anything about love. We knew that “kind” was code word for “unlike your father.” She didn’t love our father, but it didn’t matter to us, because the truth was, we didn’t love him either. “I’m done with men,” she insisted. When my aunts tried to fix her up, she bristled. But I saw she was lonely, and I saw, too, that she was fabulous, and why shouldn’t she be happy? So, for her fifty-fifth birthday, I gave her a personal ad in Boston Magazine, which my mother laughed about and ignored. “Who needs it?” she scorned. Still, she read all the responses before she tucked them into the trash. She didn’t trust men. She never liked the boys who hung around my sister and me. She didn’t like my sister’s husband, whom she didn’t think was kind enough to my sister, and she criticized my husband Jeff for his driving, for his clothes, for his job as a writer, which she refused to consider real employment. “Does he have work?” she asked me, every time she saw me or called. Once, when my husband Jeff and I were dancing at a wedding, she criticized us for dancing so close, for kissing on the floor. “We love each other,” Jeff told her. She scoffed. Still, she filled her time, which made me happy. She taught school into her seventies, socializing with friends and her sisters, but if any man paid attention to her, she swatted him away like she would a housefly. She was in her eighties when my sister and I began to worry about her being alone in her rambling Waltham house. The basement kept flooding. The icy walk to and from the house worried us. The last time I drove with her, she ran the car up on the sidewalk. We began to send her brochures for independent living and the arguments started. “I’ll die in my own home,” she insisted. She burned with rage. Life had cheated her, she said, and now it was ending. It was a terrible thing to think of, my mother being old and unhappy, and facing death, but no matter how desperately I tried to make her happy–with books, and dinners and flowers, her anger still boiled. The last time I came to visit her, she had taken every picture off the wall, leaving blank spaces where they had been, like accusations. She had cleaned out her closets and given away furniture and the one thing she wanted me to look at were the folders about how she wanted her funeral to be held, and where her money was. When I left her, I sat in the car and cried. Not only was I losing her, but her long life had not been a happy one, and that seemed tragic to me. That spring, She finally agreed to move. Her apartment a bright, sunny apartment in an independent living place that looked like a hotel, filled with flowers and people. She slumped on her new couch, resigned. “End of the line,” she said bitterly. That night, she got dressed up for dinner, carefully combing her hair, putting on lipstick. She sat at a table, talking brightly to the woman across from her, who invited her to play cards the next afternoon. And even though my mother was not a card player, she said she’d try to make it. It wasn’t so bad, she thought. And then a man sat next to her and he asked her if she was going to the New Year’s Eve party. “Of course not,” she said, and he smiled and he said, “Then I’m not going either.” She told me later that something switched on in her, like a light. Impulsively, she took his head between her hands. “Then I’ll have to kiss you now,” she blurted, and there, in front of everyone, she did. He called her the next day. “How are you today, Sunshine?” he said. She sat up in bed, her heart galloping. From that moment on, they became inseparable. They ate all their meals together. They watched TV in her apartment or his. They walked outside and talked. He became her best friend, her confidant. 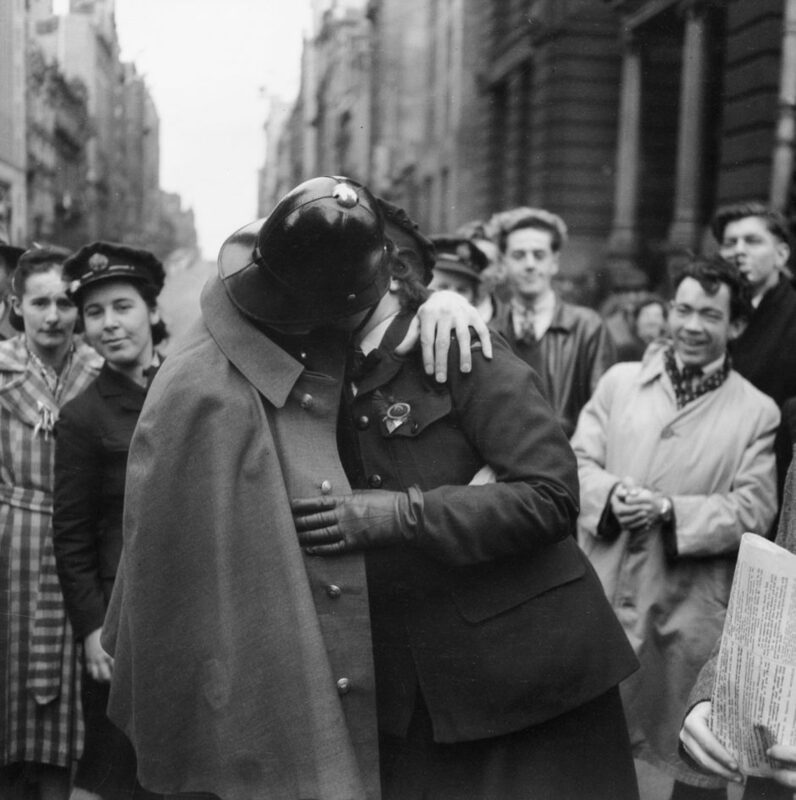 And even better, they kissed. I was stunned. Imagine going through your whole life and never feeling love until you were in your nineties. Imagine my mother, so furious about her life, being so happy. My mother became busy with love. Now when I called her, she’d cut our talks short because her boyfriend was calling. “Goodbye, darling,” she’d say, her voice as bright as a splash of pennies. When I visited, wanting to see her, she wanted to see him instead. “Can’t I have you to myself, just for an hour?” I asked. “Of course, you can,” she said, hugging me, but the whole time we were talking in her apartment, she was looking at the phone, waiting for his call. They were the best of friends for four years. And then she began to have dementia. She wasn’t eating. She forgot names. She wet her pants and she began to be obsessed about fire drills. She would go down to eat with her boyfriend and stare at the food and mumble. She told us it was over with him, that he had a new girlfriend, a woman who was 44 and would pick him up and sleep with him, and then bring him back. “Love,” she snorted. “I don’t even care.” My sister and I were terrified, but we knew we had to move her into assisted living. She was tiny and terrified, shivering and enraged. “How can you do this to me?” she shouted, and the truth was, I didn’t know how I could. I didn’t recognize her. She was here and she wasn’t here. “Come with me in the bathroom,” she said, using her cane. She needed help pulling down her pants, and she had on Depends. She didn’t understand the move. The other residents stared at her and she lowered her head shamed. I knew they must be thinking, what’s happening to her? Or worse, will it happen to me? When I hung up, I kept thinking about that pause. He liked her. Was that it? Was it really just like? I wrote to him. I told him that my mother had said she fell in love for the first time with him. That she loved him. And I sent it off. Two days later he walked the hall from his apartment in independent living to hers in assisted living. It was as if he had awakened, and that made her do the same. He held her hands. He kissed her. He said, “Would you love me if I had no teeth?” because he was going to the dentist. Love. He used the word love. I watched the two of them together. He didn’t care that she was forgetful, that she couldn’t walk so well and wore depends. When she started getting anxious about the fire drills she was sure were about to happen any second, he soothed her. “I’m here with you,” he said. He just wanted to be with her, and when he was, her dementia softened. She calmed. The last time I spoke to my mother, her boyfriend had just left. “But he’s coming back,” she said. She couldn’t remember my son or my husband’s name. She didn’t know what she had eaten for lunch. But she remembered him. “I’m so glad you have each other,” I said, but my joy wasn’t just for her. I realized that my mother was giving me something important. She was showing me that love can find you when you least expect it, that love doesn’t care about your failing eyesight or your foggy brain. That love sometimes just needs to be spoken out loud, like an invitation, a light even in your darkness. 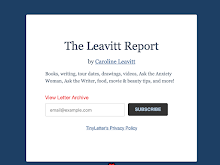 Caroline Leavitt is the New York Times bestselling author of Is This Tomorrow and Pictures of You. 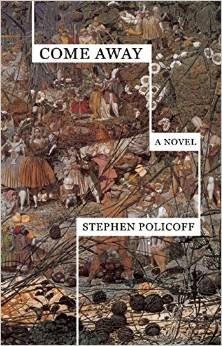 I've been a huge admirer of Stephen Policoff since his debut, Beautiful Somewhere Else, and his new novel, Come Away is extraordinary. (He's also a professor at NYU.) I'm a sucker for stories about father-child anxiety, and this one also adds in imaginary and not so imaginary friends, and the mystery of the human bond. I'm thrilled to have Stephen here. Thank you, thank you, Stephen! I tend to collect bits and pieces of idea and images and characters, and then try to figure out how they go together. In some long ago interview, Nabokov talks about how he scribbled images and phrases and moments onto file cards and put them in a box. When the box was full, he said, he would begin writing the novel. I’ve always liked that idea, though I’m not nearly organized enough to fill a box with file cards. My bits and pieces are more like imaginary file cards. Come Away—despite its slender size—emerged from many many imaginary file cards. It began about 7 years ago, when my older daughter Anna, who has a dreadful neurogenetic disorder, began to deteriorate. She had been diagnosed at 5 but was leading a more or less normal life until she turned 12, and then, as in some frightening fairy tale, seizures came over her like the cloud of slumber that envelops Sleeping Beauty. Around that time, I was talking with a neighbor whose son is on the autism spectrum; he told me that when his child was diagnosed, he felt as if his beloved boy had been replaced by a changeling child. This sent a chill down my spine—and it also sent me back to read and research some of the tales I had loved as a kid. Northern European folklore is full of stories of the changeling—the healthy child whisked away by malign forces and replaced with a withered husk of a child. I always loved those stories—who knows why? They are certainly not cheerful childhood tales. I began to wonder if all these tales might not be folktale explanations of childhood illness and disability (it turns out there is some research to suggest this might be true), and I began to think about using that idea in something, though my original thought was that it would be a YA story of some kind. I have always been interested in magic—like Come Away’s narrator Paul, I was a barely competent teen magician and both stage magic and the supernatural kind have always beguiled me, not so much as a belief system but as a metaphor for how little control we have over our lives, and especially our children’s lives. Show me a parent who has not engaged in magical thinking about his/her child! Aren’t we always bargaining on some level with forces which may be wholly imaginary but still hold power over us? Well, that’s true for me anyway, and writing about my family’s struggles with the malign power of illness, while at the same time not actually writing about it, was both liberating and (occasionally) exhilarating for me. Of course, some might argue that the reality of parenting is fraught enough without adding the strands of preternatural possibilities with which Come Away is threaded. But I’ve always liked to interweave dark domestic comedy with the mild buzz of the supernatural. It seems to be my natural métier. Like magic, dreams, too, have always intrigued me. As a hyper-sensitive youth, I kept a dream journal for many years, and I have used dreams and dream studies to teach writing classes since I started teaching several (gulp!) decades ago. Often, this is catnip for undergraduates. I always make my freshman writing classes do a dream research paper, and even got a YA book out of it (The Dreamer’s Companion, Chicago Review Press, still in print 17 years later!). I like the way in which dreams seem to gnaw at our sense of what is real and what is not…I think it is Nabokov who said that the word “reality” is among the only words which makes no sense without quotation marks around it. In Come Away, the narrator’s father-in-law, a New Age philosopher, suggests that the small green girl Paul has been seeing, and whom he fears has come to take his daughter Spring from him, is a seeping dream object, an image which has leaked out of his unconscious into the world of objects. This is a phenomenon I totally made up, though it’s hard to make anything up that is more fantastical than the Twilight Zone world of dream research. I never outline, and I rarely know exactly where my work is taking me. This is just a personality thing, and I certainly don’t urge anyone to write that way. I write lists, and scribble various fragments in journals but have never been able to sit down and outline a plot or a character arc. I am sure my writing—or at least my process—would be better served if I were better organized. I have a lot on my plate—I am a single father raising my profoundly disabled daughter and her madcap 14 year old sister—so I have to be obsessive about my writing even when (or especially when) I am only randomly organized about it. Once in a while, I discourse aloud to myself about whatever I am working on, record it, then play it back. That helps me sometimes. And I often speed-write a kind of blathering forth about what I am working on, and then read it back to myself. That is about as close to an outline as I get. 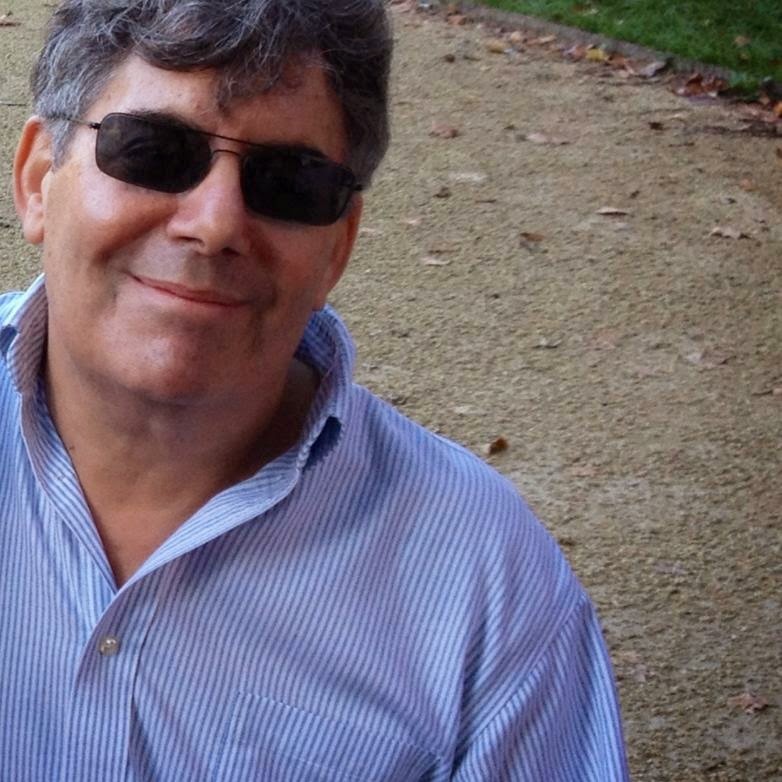 I have written plays and fiction and nonfiction for young people and adults. I started out wanting to be a playwright, and I actually worked in the Off-off-Broadway theater scene for many years, and had a number of plays produced in obscure locations around the country. But I got frustrated by always having to deal with crazy egos and the many many assholes who work in the theater—not that there are not such people in every walk of life but writing novels allows me to avoid them for much longer. I sort of fell into writing magazine articles as a young man and did a lot of that for a while, but it was only a job, I never really cared about that kind of writing, at least for personal fulfillment. Novels seem to be what I like to write these days (though it takes me far too long to do it). I will probably try a young adult novel at some point, though mostly I seem inclined toward writing quirky literary fiction; it’s the kind of writing I like to read, and usually, whatever I start out with, it ends up in that genre. I am currently obsessed with ghosts. Not that I believe in ghosts so much but again, I love the idea of some energy that is left behind after a loved one leaves us. After my wife Kate died tragically young a few years ago, I started wondering if I could ever write a novel about how much I missed her, how empty and unmagical life seemed without her. I was reading Oliver Sacks’ s book Hallucinations (another subject of lifelong interest to me), and there is a whole section on bereavement hallucinations. And it seemed to me that my character Paul—who, OK, sounds a lot like me, though he is far more loosely wrapped than I am—might well experience such a thing. So, I started reading ghost lore, especially Asian ghost lore, which is somewhat different from the Western image of the phantom in a sheet. I never planned to write a trilogy, but it rather seems as if there is another novel featuring Paul, the narrator of Come Away (and my first novel, Beautiful Somewhere Else) and his daughter Spring coping (sort of) with the loss of Spring’s mother. So far, it’s called The Dangerous Blues. My wife and I used to joke that we wanted that song played at our funeral; but when Kate died, I was too distraught to remember that. Actually, I barely remember anything about the funeral (except that Anna had a huge—and hugely appropriate—seizure just as the funeral began, almost toppling over while everyone around us wept). So, when I was revising Come Away, I remembered the song and the half-serious promise. The beauty of that strange idea—how long we are “not here,” how painfully brief is the time we are here—really seemed to echo everything I was thinking about while writing Come Away. So, I sort of shoved it into the narrative, as a song that Spring and her mother sing together, as an image that (I hope) will resonate with some as much as it has resonated with me. It doesn't matter if you get up to run at five in the morning, or if your hardest exercise is getting up from the couch to get more cookies. You want to read this wild, fired-up, exhilarating book about the world of obstacle course racing. Erin Beresini makes you believe you can do anything. And she ought to know, because she did. Erin Beresini is a Los Angeles-based freelance journalist and the author of OFF COURSE Inside the Mad, Muddy World of Obstacle Course Racing. In it, she uncovers the rivalries, lawsuits, scandals, and major players behind the fastest growing sport in U.S. history. I have to put this line in because Erin is so funny: "Her unbiased opinion is that it is probably one of the greatest books ever written. Erin writes about health and fitness as Outside Magazine‘s Fit List columnist, and is a contributing writer to Triathlete Magazine. She started Outside‘s Fitness Coach column, and has written articles for Outside Magazine, Men’s Journal, espnW, Competitor, Inside Triathlon, and The New York Times. She also shoots photos and video. She was previously a senior editor at Competitor Magazine in San Diego. I'm thrilled to have you here, Erin! I wish I could run a course with you! Tell us about the Spartan Ultra Beast? Obstacle course racing includes dodging fire, slogging through mud, navigating barbed wire, and even fighting gladiators. My very kind personal trainer neighbor took pity on me when he found out I’d signed up for the Ultra Beast but couldn’t run because of Achilles tendonitis. We did a lot of fun body weight exercises in his garage gym--push ups with my feet or hands in TRX straps, planks, squats. I’d also do battle ropes, farmer walks with kettlebells, kettlebell swings, sideways medicine ball tosses. At one point, he loaded me up with a sandbag and told me to go hike the Avenue C stairs, a long string of concrete steps about half a mile away from his garage gym that lead down to the ocean. You’ll find a lot of people working out there, but not usually carrying what looks like a body bag. In short: a lot of strength training and hiking, not much running. What surprised you about being a part of obstacle course racing? How inclusive the sport is. There’s an OCR for everyone, and people of all different sports backgrounds and abilities at every race. I’ve seen pro athletes from all different sports jump in. Pro triathlete Jenny Tobin has won Spartan races, famous ultra runners like Max King are getting dirty. People who’ve never raced before in their lives are popping on tutus and jumping into the mud—and they get just as much love as the pros. It’s glorious. Besides getting a super buff body, you also gained some emotional strength. Can you talk about that? I might sound like a total jerk saying this, but I have always believed I can do anything. That doesn’t mean the journey doesn’t get tough. But with that mindset, setbacks don’t feel too big. My brain and body were not on the same page at all leading up to the Ultra Beast. I was mentally ready to race, but was struggling a lot with tendonitis that never seemed to end. (Side note: it’s likely because the charming 1937 apartment I’d been living in had a mold problem!) A lot of my adult identity had to do with endurance sports, and being knocked out for practically a year made me really upset. It also made me think a lot about why I race. Ultimately, it’s for the cool people I meet and the friendships that are strengthened through unique shared experiences. Deciding that might’ve made me soft—I haven’t trained to compete at a high level in a few years—but it kept me out there and happy, on course and off. Part of what I loved about the book was the wild cast of characters. Talk about that, please. Spartan Race inventor Joe De Sena is a unique guy. He hurt his hip in a car accident and doctors told him he likely wouldn’t run again. So he went on an Ironman binge and raced something like 12 of them in a single year. He practically owns an entire town in Vermont, where he invites racers to live and train. He’ll wake them up before dawn to make them go hiking with him. No excuses. Mr. Mouse, inventor of the UK’s Tough Guy is a hoot. A septuagenarian with a big bushy white mustache, his race is similar to Tough Mudder’s, but Tough Guy started in 1986. He had a rough childhood, and served in military conflicts. Those combined experiences led him to create Tough Guy. He felt he learned a lot about himself from reaching his lowest point—so he created a race that would break you with electric fences and cold water and constricting pipes so you could build yourself back up. He calls his residence the Mr. Mouse Farm for Unfortunates, and tries to employ people that, for some reason, couldn’t get a job elsewhere. I love the Facebook group Chicked Nation. It’s a place for women of all athletic abilities to come together and encourage each other to reach their health and fitness goals—no boys allowed! It now has more than 15,000 members. Ask a question you have about anything—OCR, training in general—and you’re sure to get smart, helpful responses. You might even find a teammate for a future event! What happens to a family in the aftermath of abuse? 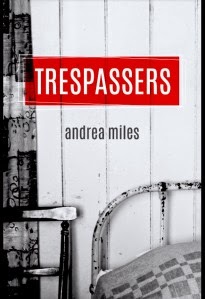 That's the stunning story of Andrea Miles' debut, Trespassers. Susan Straight calls it "A wild ride through one family's tough road to redemption.' Julia Fierro praises its "Gripping portrait of characters struggling with their darkest fears and regrets," and Amy Koppelman calls it "brave and powerful." Trespassers. A portion of the proceeds from the sale of Trespassers is being donated to Big Oak Ranch, a home for children needing a chance. 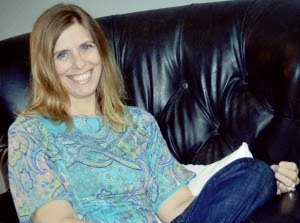 Thank you so much, Andrea for being on the blog. Some writers have a plan when they sit down to write. They know where they will end up and often know most (if not all) of the path that will take them to the end. Currently, I’m trying to be less of a “by the seat of my pants” kind of writer, but with my first novel it took me awhile to find my story. In fact, the published Trespassers is quite different from the Trespassers I set out to write. When Trespassers began with a few pages and no title, it was about siblings. Siblings who didn’t get along, who preferred to never see each other, who avoided family dinners and made excuses to skip holiday celebrations. I was incredibly naïve when I left for college and so I was astounded when I met people who hated their siblings. I loved my brother. All my friends loved their siblings. How could you hate the person you grew up with, someone as close as a sibling could be? I didn’t understand it and it intrigued me. Then, when I moved to Chicago, I was confronted with almost daily news stories of children who were abused by their parents, or other close relatives. I couldn’t understand how a person who was supposed to love a child more than anything in the world could neglect them, hurt them, possibly even kill them. I put my story about siblings aside and I started again, writing about a little girl who was abused. Pages filled up with scenes, but not with a full storyline. And then I began to wonder about the kids who managed to survive childhood. How were they as adults? What if the little girl I was writing about survived her tragic childhood? What would her life look like as an adult? So my story changed again, the pages I’d written became backstory, the little girl became an adult woman and guess what? She had a brother she once loved, but now sought revenge against. And Trespassers was born. Despite Chicago being the place of inspiration, I did not set the story in Chicago. I mention New Jersey and Florida, but that’s about it. I could’ve written about the Florida palm trees and the orange-scented air, but I wanted Trespassers to be a story that could happen anywhere. This family could be your neighbor in California or Maine; Melanie could be the woman refilling your coffee in Iowa or New Mexico. Abuse, whether physical, emotional, or sexual, happens everywhere, in big cities and small towns. As I delved deeper into the subject, I knew I needed to do something bigger than just writing a book. I knew if I ever got Trespassers published, I would donate a portion of the proceeds to a charity that helps abused kids. Because I live in Birmingham I chose Big Oak Ranch (www.bigoakranch.org), a charity here in Alabama that helps kids who are abused or neglected. I can’t write a book that everyone in the world will love, but I can write a book that allows people, whether they like the book or not, to feel good for helping a deserving charity.